Who says Acro is just for partners? 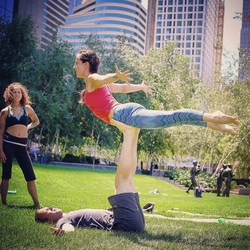 Experience 3,4 and more persons Acro Yoga! No need to come with a party, we create the party. A little yoga experience is helpful, but parties are for everyone.